The proximity sensor is too sensitive. The proximity sensor is being triggered for no apparent reasons. 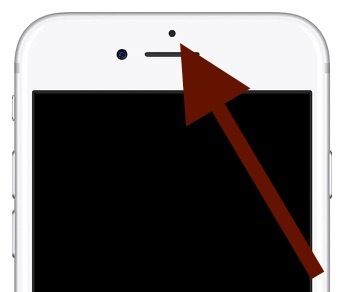 Your iPhone screen is not shutting off when you hold your phone up to your ear during a call. Your iPhone uses the proximity sensor to detect the presence of your face, ear and cheek when you are on a call. Your iPhone does this because of two main purposes: Reduce display power consumption and thus save battery life by turning off the screen light and to disable your iPhone’s touch screen to avoid inadvertent and unwanted inputs by your face. If you are having this problem, do you think that your iPhone’s proximity sensor is not working correctly? do not worry, you are not alone. This articles explains what to do when the proximity sensor is not working. First of all, please note that there is no setting for the proximity sensor on your iPhone. This means that you cannot turn off the proximity sensor. Note that this is different than “Raise to Wake”. Raise to Wake lets you see your lock screen (display wakes up) when you raise your iPhone up. You can turn off and on this (this is on by default) by going to Settings > Display & Brightness. Make sure that your iPhone’s case or screen protector does not obstruct with the proximity sensor activity. Try removing the case to see if that fixes your problem. If you own an iPhone X, iPhone 8 or iPhone 8 Plus: First press and release the volume up button and then volume down button and then press and hold the side button until the Apple logo appears. Other iPhone models: Press and hold the side and home buttons together until the Apple logo appears. If you are having this because of a hardware problem, e.g. because of a drop or water issue, contact Apple. Your device could be covered under warranty. You may want to make a Genius appointment. ~~~Make sure that your iPhone’s case or screen protector does not obstruct with the proximity sensor activity. Try removing the case to see if that fixes your problem. Above issues only on my phone, after removed screen protector it works perfectly. Sometimes the lights do not fire on my phone when I have finished talking and after cutting the line Please reply me as early as possible by mail.